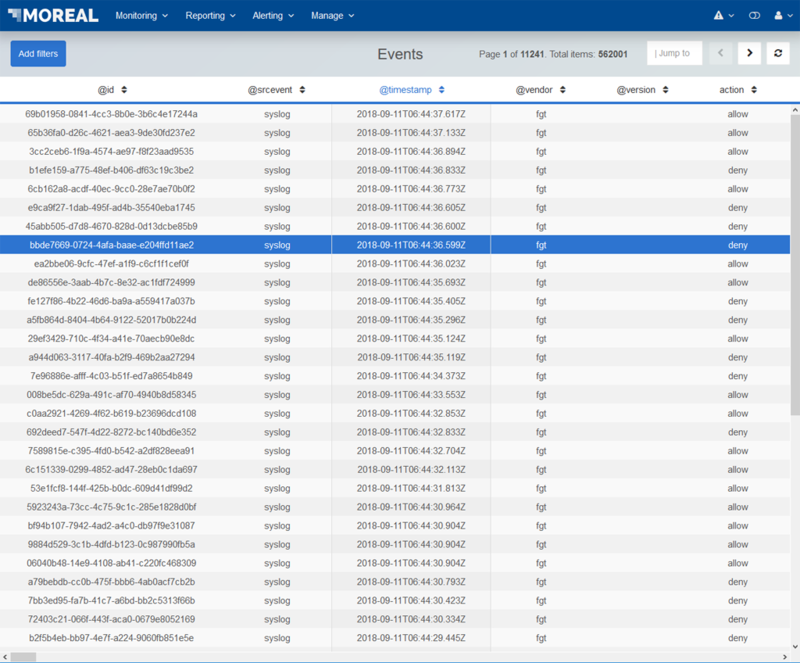 Use of the MOREAL platform consists of data that are usually arranged in Tables. Each record of the extracted data in a page is displayed in a Row, while all common attributes or properties of each record are grouped in vertical Columns. In the image below, the solid red outline highligts a Table, the solid red color highlights a Row and the dashed outline highlights a Column. 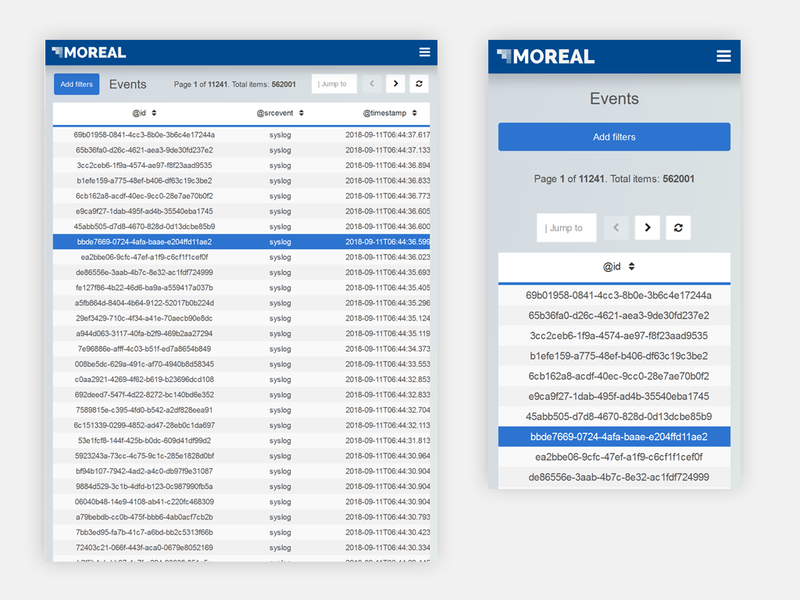 The MOREAL platform uses a unique system for handling big Tables of data; in large screen devices you can scroll the data in both directions, horizontally or vertically while keeping essential tools and components fixed in their place for instant access. In smaller devices, the Tables adapt to the device’s size and can still be scrolled in both directions without compromises in text size. Sample Table in Dashboard. Take notice of the scrollbars – data can be scrolled in both directions while top part of the screen stays fixed. In some cases the data in the Tables in the MOREAL platform can be arranged and sorted in multiple ways. Whenever a sorting icon appears () it means that sorting the records using the data in the column alphabetically is available; the icon toggles between ascending and descending alphabetical order of all the data records in the current page. Depending on the number of total records and the results per page number, using the sorting icon might show data that were not in the current results page unintentionally, because the sorting is applied on the total number of records. Filtering the results before sorting is suggested in such cases. Specifically in the Events view, some extra functionality is encountered in Desktop devices; the Columns’ Headers are fixed so that they stay in place when the data rows are scrolled vertically. Fixed Column Headers are distinquished by a light shadow as shown in the following image. Hovering over a Column’s header, two Chevron icons appear ( and ) that can change the Columns’ order. Two Chevron Icons appear when hovering with your mouse cursor over a Column that can change the Column’s sort order.